Monday – Cross training day. 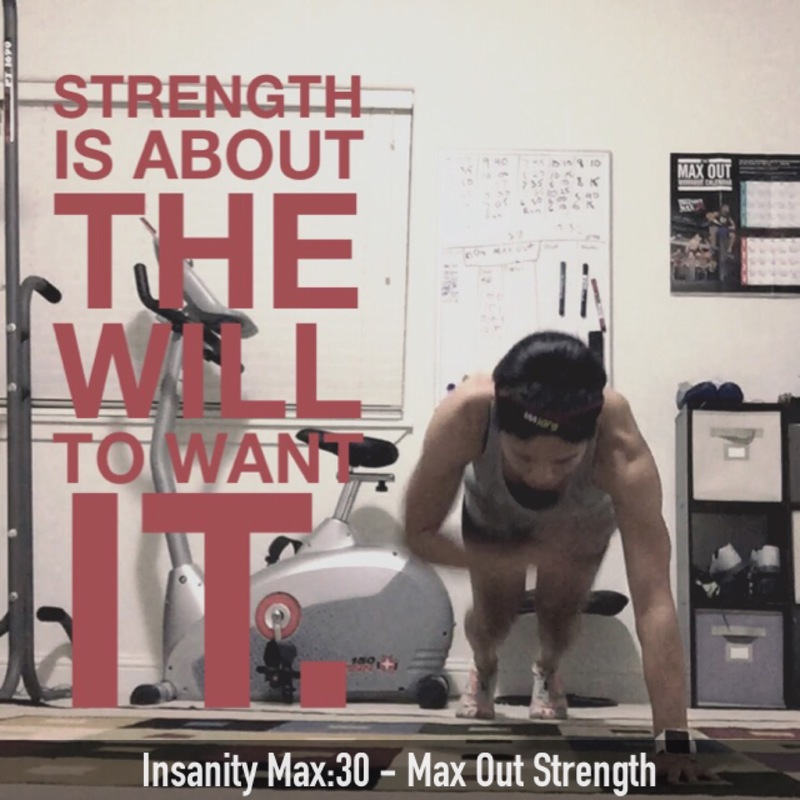 I did Insanity Max:30 – Max Out Strength. I struggled trying to keep up with all the push-ups since I haven’t been doing much strength training. But it’s true what Shaun T says, “Strength is about the WILL to want it.” Tuesday – Early morning 5 miles. 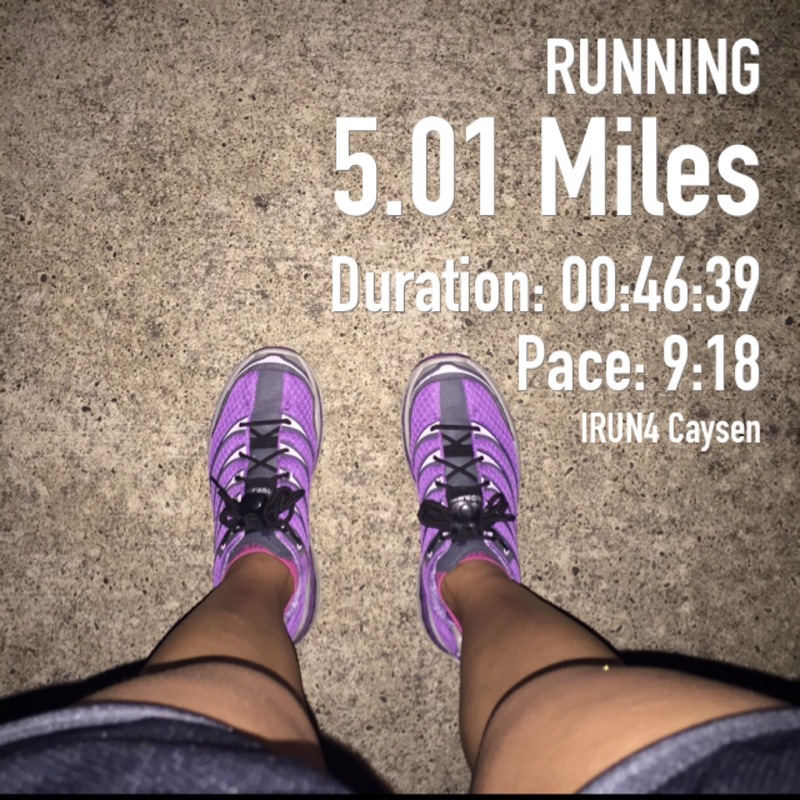 Wednesday – 8 mile evening run. 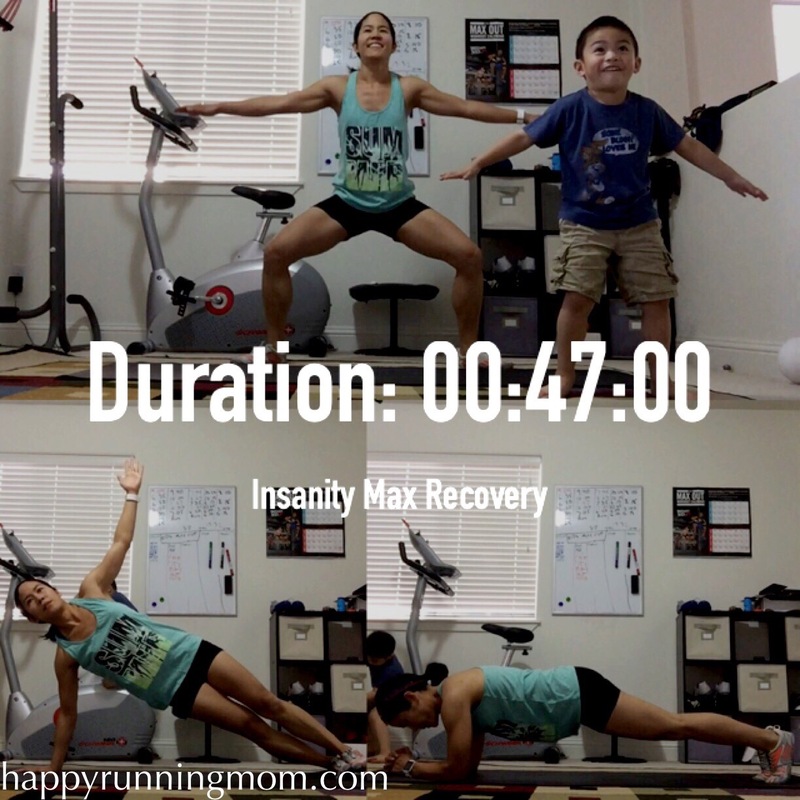 Thursday – I did Insanity Max Recovery, one of Insanity’s recovery workouts. Still a tough one especially for a recovery workout. 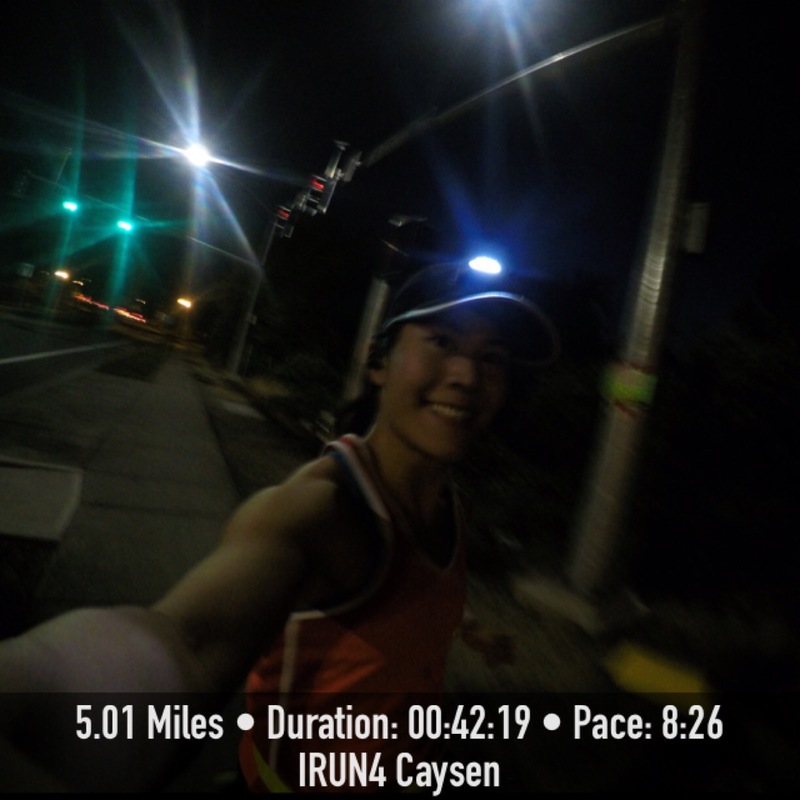 Friday – Five early morning miles. I tried out my new headlamp and it worked well. It lit up my path nicely. It also wasn’t too heavy. 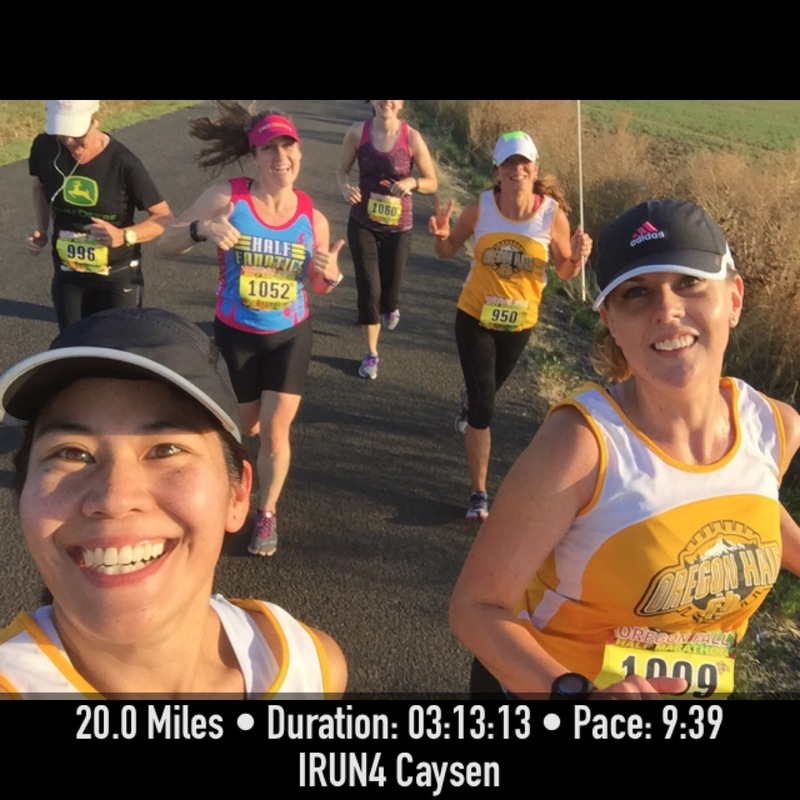 Saturday – Paced the Oregon Fall Half Marathon and took a short break and then ran the extra 6.9 miles to get my scheduled 20 miler. I had a great time pacing again. Our 2:10 pace group helped a few people reach PR’s which was awesome! It’s such a great experience. Recap coming soon. The extra 6.9 miles I had to run were tough though. 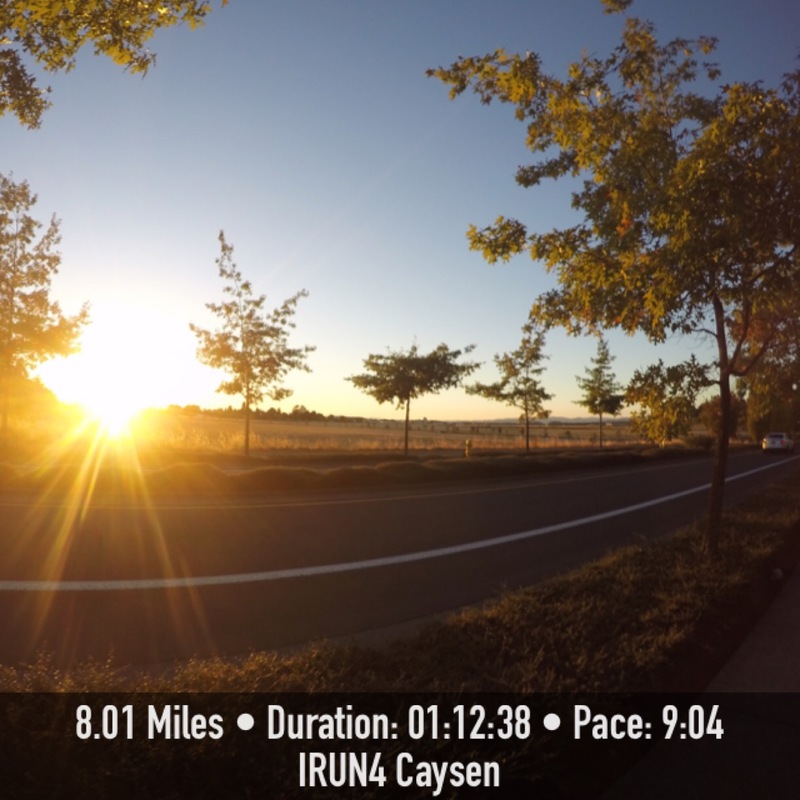 I went back on the race course to get my extra miles and this time I was running alone. I did see runners pass by but after a while there were fewer and fewer people. It was hard because I did not have my headphones with me to listen to music and I usually run with music. It was also getting warmer out. I pretty much just focused on how many miles I had left and got it done. Now it’s taper time! So glad to hear you headlamp worked for you and it wasn’t too heavy! I’m going to have to have one very soon! Wow a half plus almost 7! Impressive to say the least! I have a few half’s I am entering along with my longer training runs too. I hope mine turn out as well as yours. I know after a half I’m about spent! Thanks for linking up with us and great luck on your upcoming marathon! 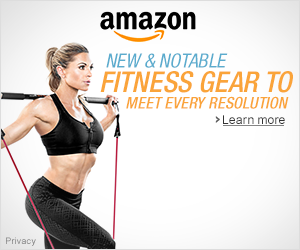 That first picture is a great shot – it shows how strong and defined your arms are! Hard work paying off! Nice work Sherry. I bet that was tiring adding another 6 miles to a half marathon but you stuck to your plan! Nice pace job. So cool that you do that. I remember the first time I ran with a pacer. I was so grateful to him. When I saw him after the race, I made him take a picture with me. Have a great week – enjoy the taper…3 weeks!! Your going to do great. Your running and strength training are key to a good race! How fun to be part of a pace team. I’ve wanted to do that, but I’d have to pick a pretty slow pace to make sure I could do it! I like your head lamp. The one I have is a little heavy and I just don’t like it. I’m one week behind you in marathon training. Enjoy your taper! You will do great! Thanks for linking up with us today! Nice week! So cool that you have been pacing half marathons this year! Great job on your second 20 miler! Sounds like you are ready for your marathon! Enjoy the taper! Thanks Sharon! I’m happy to be a part of the pacing team. I’m excited about the marathon since it’s getting close.